It’s been an incredibly difficult and energy deficient year for me. As the clouds started to lift, and I began to feel like I was recovering, I was becoming increasingly frustrated with the consequences of my chronic illness. It has affected myself and my family, stopping us from living life fully. We have spent so much time resting, and limiting our family activities, because of my lack of energy. I needed to get back to living life well, we needed some fun! And I had an idea! Our family had been watching America’s Got Talent for the last few years, and the kids have always loved it. 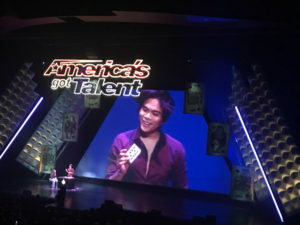 We talked about going to Las Vegas to see the winner and some of the finalists live. But there was only a month until the show and we would need to buy our plane tickets and book a hotel for a weekend getaway. It wasn’t very practical for us, but I was tired of playing things “safe”. We needed a break and to do something completely out of the ordinary. We needed to have fun and play. And then we could come home and figure out what to do next in regards to the flooring situation in our home (more about that in a later post!). 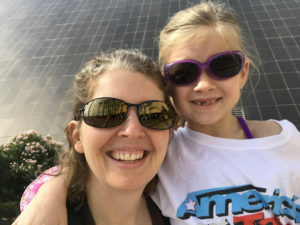 I was looking for a fun, carefree adventure with my loved ones – but being a family of empaths in Las Vegas put us out of balance more than I expected. My husband felt the need to rush to get practical things taken care of – it was important to him to make sure we had healthy food that we all could eat. Feeding us well is a priority of his at home, and it continues to be important to him when we travel. 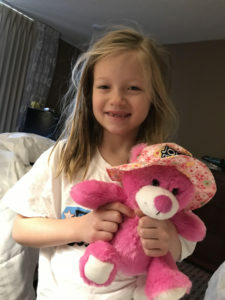 There were many factors underlying his need – he didn’t like the “nickel and dime” energy of Las Vegas, our daughter was getting over being sick and had a loose tooth that was bothering her. And it was important to him that we could all stay healthy while we were on our trip, and come home feeling as good as possible. My mission was more simply stated – I just wanted for us to relax and have fun. We made it to the show with full stomachs and while a couple of our favorites weren’t performing, we had a great time. 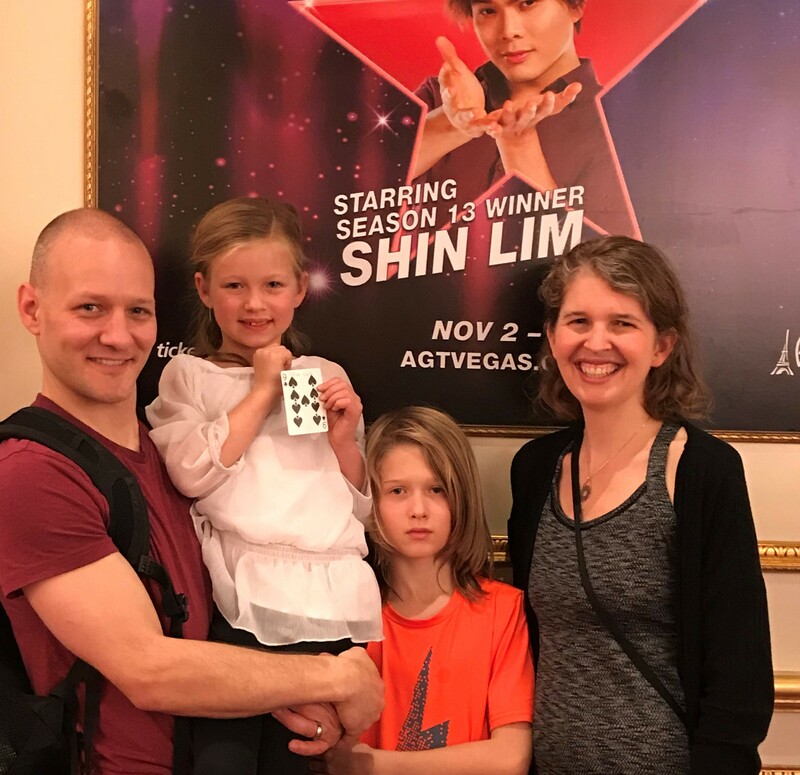 Duo Transcend was a family favorite and watching the card magician Shin Lim was deeply engrossing. Overall, the first day in Las Vegas was a success, partly, I believe, due to my intention to hold a space in our lives for lightness, innocent fun, and joy. My daughter even lost her tooth after laughing for a couple of hours. This sent my husband (the tooth fairy) out into the town, on a mission to find something to put under our daughter’s pillow, at 1045pm in Las Vegas ☺. We felt that we had enjoyed a good day, but our son had started getting symptoms of being sick that evening – he was struggling with a sore throat, so we gave him zinc and went to bed. Unfortunately, the next morning my son woke up feeling very sick and could barely talk. The idea of roaming Las Vegas, swimming in a pool near sharks and seeing a show went out the window. My husband, disheartened and tired, made comments about it being a wasted trip, and surely it felt that way to him. I had planned the whole weekend for us, intending for us to have nothing but fun, and so I was disappointed to think that my son was unwell and my husband was wishing to be back home – things were not going at all the way I had planned them. There were challenges, obviously, but I wasn’t going to let this bring me down. Our daughter and I went to a nearby hotel to enjoy the “beach” and swimming pools. It felt good to get out of our hotel and enjoy a more relaxing energy, away from the Vegas strip. I could breathe fully, I felt great, and we swam for a few hours. 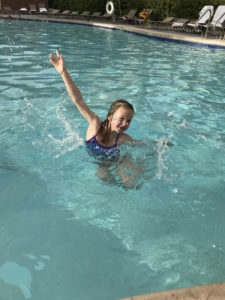 Swimming is hard on a body that is struggling with poor lung health, though, so it wasn’t long before exhaustion and lung pain returned. 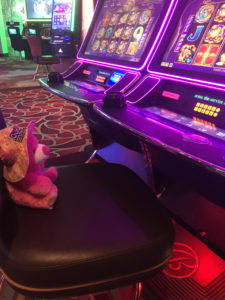 My husband and I switched places as our daughter wasn’t done having fun in the sun, and so Daddy took her out to play some more, and I rested with our son at the hotel. While the two pairs of people had been content and happy together, once the four of us were back in our hotel room, an irritable mood permeated the room. I struggled to keep the lightness and fun feeling, but I could feel myself becoming more disheartened. We struggled, we finally figured out where to eat and I grabbed a blanket and stuffed animal for my son, who was miserable and unwell. Even with food in our stomachs, I felt as though everyone around me was crumbling and I couldn’t stay strong any longer. The weight of the energy in the frenetic and noisy atmosphere of a Vegas Hotel could no longer be held away. I felt so much pain in that space – struggling under the larger energy of greed, power and selfishness. An energy that in part had contributed to my illness. An energy my whole family was reacting to in Las Vegas. We were unaware of it at first, it was easy to assume that we were irritated with each other, it was easy to not realise that our family unit was being negatively affected by the environment we were immersed in. We love being outside, going camping, cooking outdoors, walking, cycling, playing together in nature. Looking back, it seems that this place was a representation of what is going on in our government and the world. An energy that had more voice and power, emanating from a small group, but impacting and affecting the masses. My whole body, mind, spirit and emotions crumbled. I couldn’t be strong any longer. The pain was too much. I was absorbing so much unnecessary suffering. Recognizing that I was absorbing a lot of the pain and suffering from people beyond ourselves, I put on my amethyst bracelet for protection and eventually fell asleep. Sleep is healing, a new day would begin, and we could start fresh in the morning. We slept in, had some breakfast, packed up and made our journey to the airport, grateful to be going home. While I sensed a lot of negative emotions and energy, I met some amazing and beautiful people on our trip. Yes, there was a larger force that was clamoring for more attention, but many people I met were showing resistance. I’m thankful for the person who was honest and guided us towards a more healthy place to eat. I’m thankful for the woman who waited on us and recommended some honey and lemon hot water for my sick son without charging us more. I’m grateful for the energy healer I sat next to on the plane who inspired me to follow my dream. These people nurtured my hope in humanity, hope that we can move forward with love and kindness, taking care of each other, and the world around us. Next time I plan a vacation, though, it will look very different to this one!